To be eligible for Medicare supplemental plans in Maryland, individuals should be age 65 or older and have Medicare Parts A and B. Once you hit the age for Medicare insurance, 65, you can enroll into a supplemental health insurance plan. You can apply for Medicare Supplement plans before your 65th birthday month. Seniors can apply for Medicare supplement insurance with ‘Guarantee Issue’ for up to 6 months following the election of their Part B benefits. This is your Medigap Open Enrollment Period. If you do not receive Part B benefits, contact one of Maryland’s local Social Security offices for help with Medicare. Medicare supplements are also known as Medigap supplemental health insurance plans. Maryland has 10 Medigap policies to choose from: Plan A, B, C, D, F, G, K, L, M, and N.
In Maryland, Medicare Medigap policies are standardized. This means that there is no difference between a specific plan and insurance companies. Example: A woman in Baltimore Maryland is turning 65 and comparing supplemental health insurance plans between companies. She’s interested in Equitable Medicare supplements and Omaha Insurance Medicare supplement plans. The coverage for Equitable Medicare policies is exactly the same as Omaha Insurance Medicare supplement coverage. The only difference is the price for the plan. Medigap Plan G in Maryland is now purchased more often than any of the 10 policies available. It’s highly recommended in the senior community because the “G” plan provides great coverage. Plan G is for individuals who don’t want to worry about co-pays and coinsurance after the annual Part B deductible is met. Medigap Plan G in Maryland is considered the best value plan for seniors. Medicare supplement Plan G requires you to meet the Part B deductible of $185. This is the only difference in coverage between Plan G and Plan F.
If you take the annual $185 Part B deductible and divide it by 12 months, it comes out to $15.42 a month. Add 15.42 to your Plan G premium. Now compare that price with Plan F policies. Medicare Plan G is usually cheaper than Plan F – even with the annual Part B deductible. The difference between Medicare Plan F and Plan G is on an annual basis. This is just an example. If you’re starting your supplemental plan mid-year, just change the number of months in the formula. Seniors doing a health insurance search are overwhelmed with companies trying to get their Medicare supplement business. Make the process easier by first comparing Medicare supplemental health insurance plans and then run a free online health insurance quote. We recommend looking at Medigap Plan G to supplement Medicare. Compare insurance plans in Maryland by entering your age, zip code, gender, and whether you’re a tobacco user. Since Medicare supplement plans are standardized, we provide free online health insurance quotes from multiple carriers. Find the top Medicare supplement carriers in the state of Maryland. The 10 supplemental health insurance plans are not restricted to network providers. Visit any provider or hospital in the United States who accepts Original Medicare. 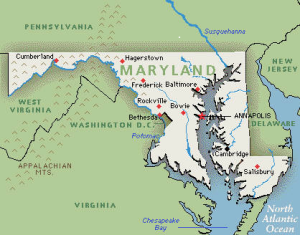 Therefore, individuals who travel outside the state of Maryland are covered. Individuals will receive an insurance card from the company where the gap policy is purchased. Both your Medicare card and the Medigap card need to be presented to providers. Medicare supplemental coverage will pay after Medicare pays. Having a “network free” plan is one of the best benefits of purchasing a Maryland Medigap health policy. Thanks ever so much for your patience and the time you spent with me reviewing the Plan. You went above and beyond what anyone else would do. I'm still overwhelmed. I was able to just click and print my temporary Medicare supplement card. Again a great big thank you.